Opuntia dellenii ‘reticulata’ a prickly pear with a strange network of scars that looks like the skin of a snake. 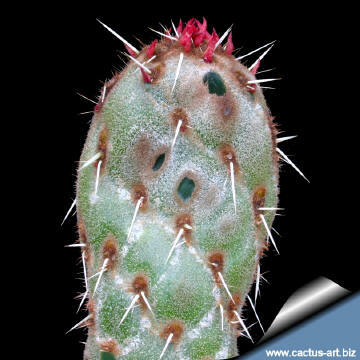 Description: Opuntia reticulata is a rather strange monstrous form with a certain fascination obtained in Europe. 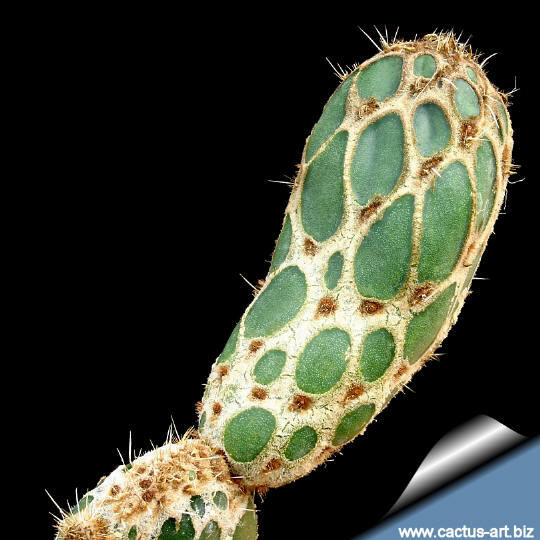 It seems to be spineless and innocuous but it has small stiff spines and very irritating glochids like most of the opuntias. Criss cross line markings make it look like the body of a snake. network of lines on a young cladode. Cultivation: They are relatively easy to culture, but spreads irregularly all around and are quite sensitive to over watering (root rot prone). Require full sun to partial shade with a well-drained soil mix. The plants are watered and allowed to dry thoroughly before watering again. During the winter months, the plants enjoy a cold place where the temperature is dropped to 5/10° C, but hardy to -5° C for short periods of time if very dry. During this period water only enough to keep the pads from shrivelling. Propagation: Cuttings taken at any time in the growing season. 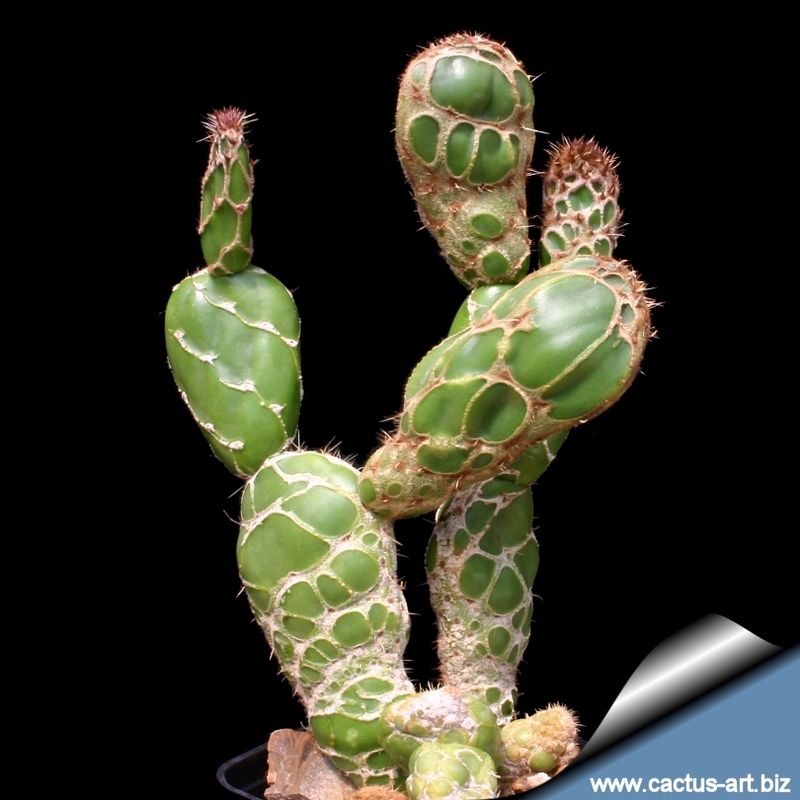 Remove a pad from the plant and then leave it in a dry sunny place for a couple of days to ensure that the base is thoroughly dry and has begun to callous. Pot up into a porous compost. rooting within a month.